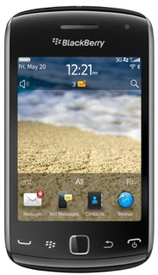 The BlackBerry Curve 9380 is a stylish and full touch phone which runs on BlackBerry 07 Operating System. BlackBerry Curve 9380 runs on 806 MHz processor and support Wi-Fi connectivity. BlackBerry Curve 9380 comes with 5MP Camera with auto focus (LED flashlight) helps to take photo in dark with 2592 x 1944 pixel resolution.It also allows VGA video recording at 640 x 480 pixel resolution. BlackBerry Curve camera has features like face detection,Geo-Tagging and image stabilization to increase quality of photos.BlackBerry Curve is fully touch screen which enable easy to scroll applications and games.The Optical trackpad makes navigation easy and smooth. The 3.2-inch clear display with 360 x 480 pixels for a crisp Display Colors 16Millions Display Type Touchscreen TFT Display. Memory card slot: Expanded up to 32 GB using microSD card and microSDHC cards Slot. 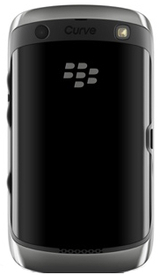 The BlackBerry Curve support 3G, EDGE, Wi-Fi connectivity and access Internet through GPRS. Bluetooth, USB connectivity Micro USB which helps to transfer data like videos, images, movies and music at super fast speed with other devices. The BlackBerry Curve helps to find our location, plan to route and get directions with the in-built A-GPS and 3.5 mm audio jack. The BlackBerry Curve support emails through the Push Email facility (Default Installed) and Instant messaging allows you to chat with your friends. Applications like Blackberry Maps, Document editor (Word, Excel, PowerPoint, PDF), Document Viewer, predictive text input, Games, MMS enabled and Organizer are available by default.The SNS Application is preloaded by which you can access facebook, twitter and get connected to your friends. You can access the Blackberry App World and download applications according to your needs and interests.